In an effort to control costs and energy efficiency, homeowners place a high value on tight insulation. Yet, many are surprised to learn that while their airtight home might save them money, the quality of the air that they breathe on the inside is more polluted than the outside air. Given that individuals spend most of their time indoors, this is a serious problem. That’s why it’s important to have good ventilation. The Center for Disease Control and Prevention classifies indoor air pollution into three main categories: particulates, germs and chemical gases. Particulates include dust, smoke or pollen, while germs are bacteria, fungi and viruses. Combustion within the home contributes to chemical gases, which include carbon monoxide and soot. What’s more, humidity and added moisture intensifies the concentration of indoor pollutants, as well as bacterial growth. With this in mind, HVAC experts focus their attention on the importance of adequate exhausting and exchange of indoor air to the outdoors. While this will certainly bring fresh air into a home, it will also combat excess moisture that could deteriorate certain furniture materials and even paint. 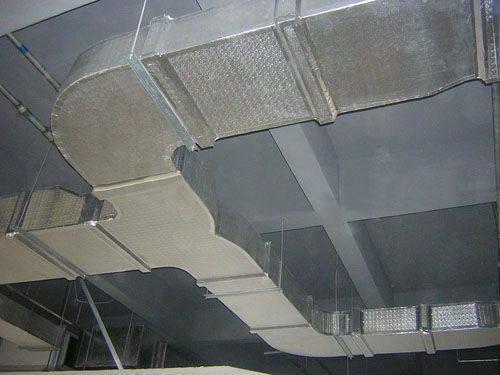 For the most part, there are two types of ventilation systems—spot ventilation and general ventilation. In some cases, specific rooms might have excess moisture. Bathrooms and kitchens are prime examples, and these could benefit from a spot ventilation system. On the other hand, general ventilation covers an entire home, with continuous circulation of fresh air. Meanwhile, supplemental components can help remove air pollutants from homes, and these include air and UV filters and humidifiers. For Superior HVAC Services And Ventilation, Call Today! The trained technicians at ClimateSmith, LLC, continue to provide superior HVAC services throughout the Atlanta-metro area with expert insight into home ventilation systems. Not only does good indoor air quality protect one’s respiratory health, it reduces home maintenance costs and increases the overall value of the home. At ClimateSmith, LLC, we’ll make sure that your home stays cool and comfortable, with air quality that is safe for your family. Call today!